Every child is unique. So is every child with Down syndrome. Still, how do we recognize someone with Down syndrome so easily? We see physical characteristics that are common - eyes with an epicanthic fold, smaller ears, somewhat drooping face, unusual proportions (shorter arms and legs), short stature, and so on. When you look closer, you may see other things like a palmar crease, Brushfield spots, etc. So I will often speak in generalities. Not everything is going to be true in all cases or to the same degree. and what could be wrong with these? Simple - they're too big. 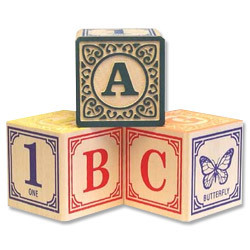 Alphabet blocks are about one and a half inches on each edge. They were too big for my daughter. Worse - since she had a stroke and didn't have solid use of one hand, she couldn't pick them up with two hands. So what do you do? Make them yourself. A good quality hardwood. Do not use plywood or MDF or other manufactured woods. 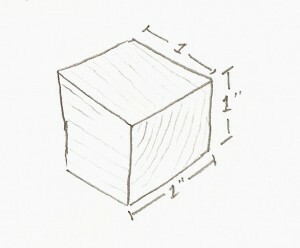 Cut blocks to size. Sand smooth and ease the edges and corners a little bit so they're not sharp. I made four or five of these. While I was at it, I also made some two inch blocks. Why are blocks important? There is a milestone that gets used in early intervention to measure progress in motor control. It has to do with the ability of the child to stack blocks and it usually shows up between 8 and 12 months. If your child can't pick up the blocks because their hands are too small, then this milestone won't happen until later. Encourage play with the blocks by making piles and stacks and taking turns. 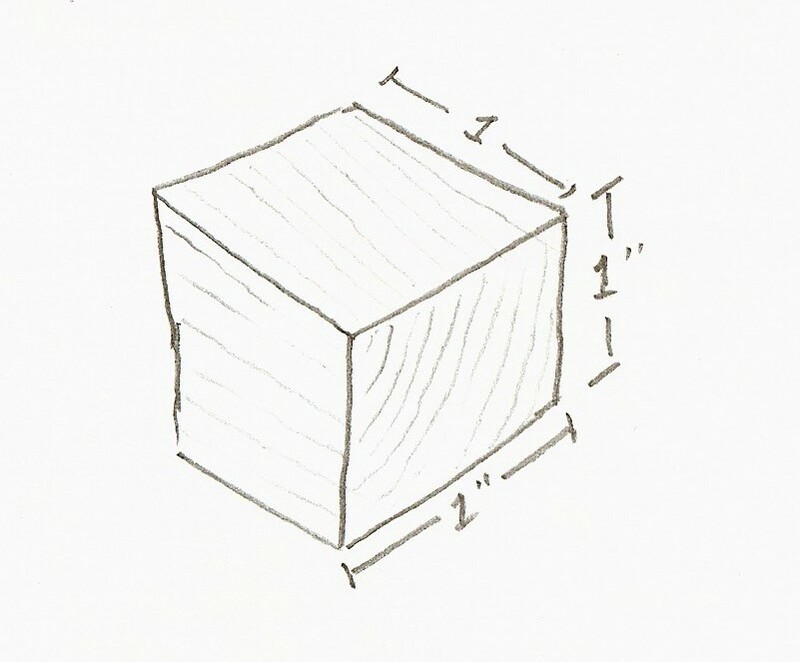 For scaffolding block stacking, start with a two inch block as the foundation at first. Later on at around 12-24 months, your child will develop or start to develop an interest in another skill/milestone known as "dump and fill". You can encourage this by using the blocks and a container that is noisy when a block drops into it. A small metal mixing bowl is perfect because it is lightweight and makes a lot of noise (especially beating it with a spoon - also an 8-12 month milestone). When I made my blocks, I intentionally used no finish on them nor did a paint or carve letters. Why? 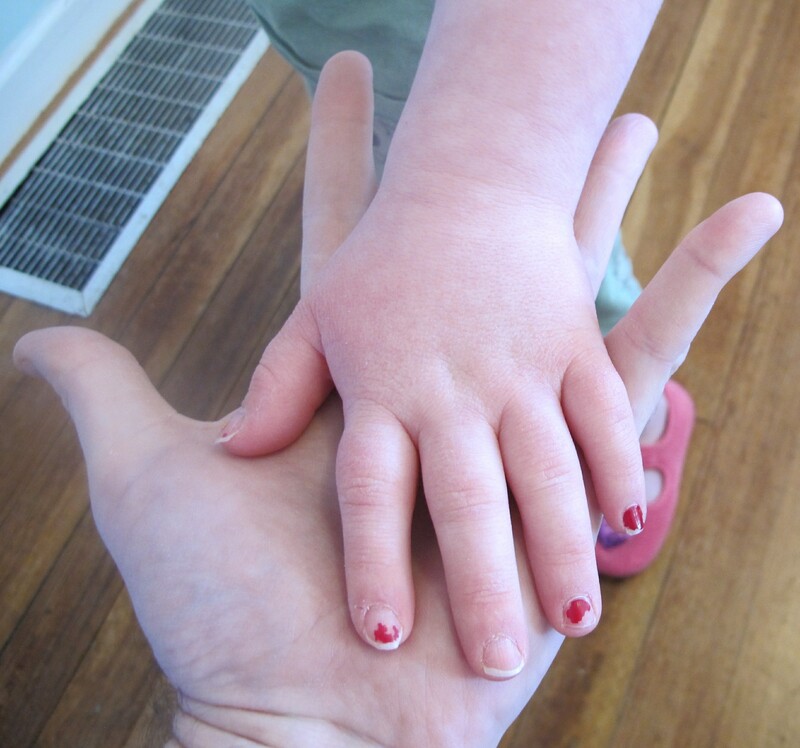 Many kids with Down syndrome are highly visually oriented. So much so that it's easy to get distracted. Since the goal isn't letter awareness just keep things simple.